So, my first ever post and I thought I would keep it to a simple but delicious kitchen staple. 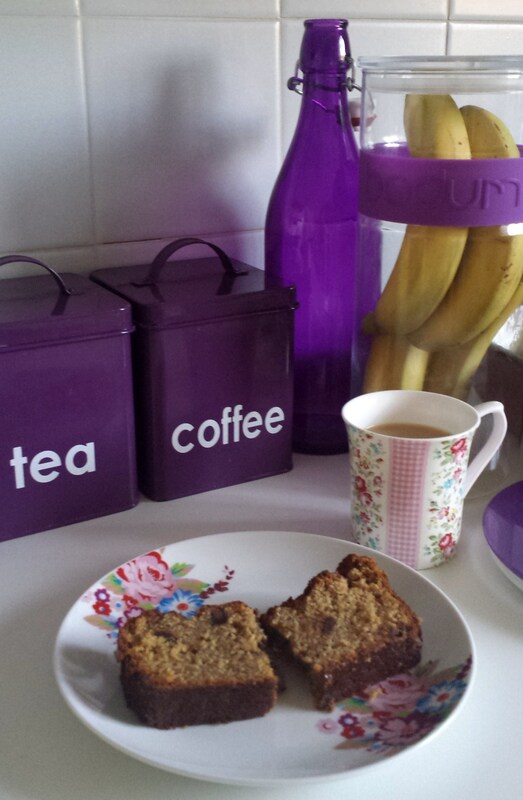 I’d like to share a recipe for what I have finally created as perfect banana bread. Not only is it really tasty, it takes literally five minutes to whip up the mixture and around 40 minutes to bake. It smells and tastes heavenly. We get through at least 15-20 bananas a week in our house, two per work day for Will, one per day for me, plus extra for the weekend. However any change to the routine (such as a much coveted free breakfast at work) and we are left with surplus bananas. This is a great recipe for using up bananas that are beyond their best. Whilst not such a pleasure to eat, it is imperative that your bananas for this recipe are old and manky; brown, spotty and quite soft. This lets the banana juices flow during cooking and makes the texture so sweet and sticky. I experimented a couple of times with various recipes, including odd/ unnecessary ingredients such as buttermilk, and didn’t like how they turned out. My first attempt was too dry (not enough banana) and second attempt was too plain-tasting (I subsequently discovered that this was due to using the wrong sugar). Most recipes call for caster sugar, but during my second attempt I used some muscovado due to a shortage of the white stuff in the kitchen. It was sticky and almost caramelised once backed, making the cake smell of warm toffee, however it was a little too heavy. 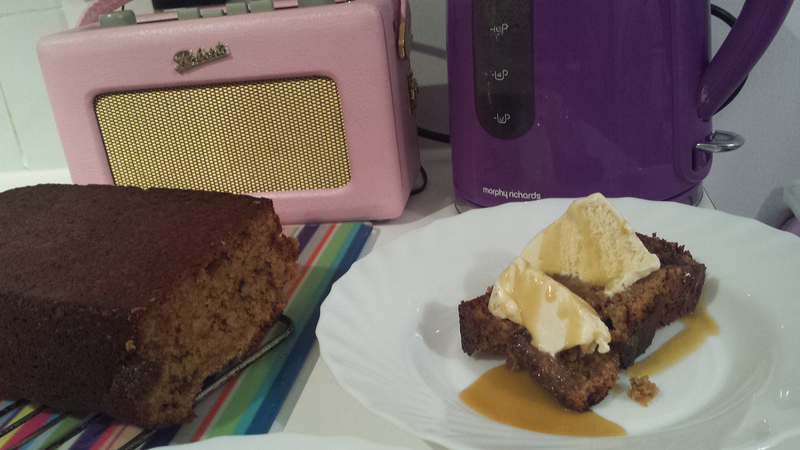 It did give me the idea of using soft brown sugar though, which has made it into the final, perfect recipe. I was then having a small dilemma between putting cinnamon or chocolate chips in the banana bread, surely you can’t have both? Then, I realised that since there was no law against it (quick Google check for obscure cooking rules in other geographies), why could I not have both!? Of course, both are optional according to taste, you may want the focal taste to be the bananas. But don’t be afraid to experiment! As an alternative, I think some small pieces of stem ginger would also give the cake a great zingy taste.